Detroit Lions Game Party Bus to and from a Detroit Lions game at Ford Field is perfect for any Detroit Lions fans who are looking for a safe, no hassle experience to make the game even more exciting when all you have to worry about is watching. You can get all your fellow fans (and even visiting fans) together, and have drinks on your way to the game safely and in the most luxurious and brand new party bus. No need to worry about showing up before kickoff, finding the perfect tailgating parking spot- or paying the outrageous prices to park in one of the many privately owned lots. Just get dropped off out front of Ford Field, or at one of the lots to tailgate with more fans, and let Varsity Limousine Services take care the rest while your Detroit Lions Game Party Bus waits for your pick up call. The fun doesn’t have to end when the Detroit Lions game ends, either. If you and your group want to stay and have a few more drinks while tailgating and celebrating another Lions win- we’ll be waiting for you. Dinner in downtown Detroit afterwards is always another option to continue the celebration. You will all have the peace of mind knowing that nobody will be drinking and driving that night and because of Detroit Lions Game Party Bus- you can focus on nothing but having a great day at the game, and a great night out on the town afterwards. 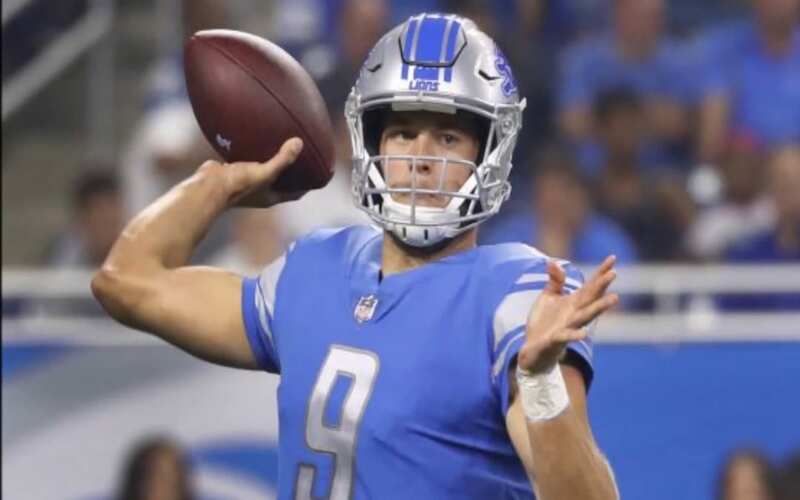 At Varsity Limousine Services, we take pride in getting you to the Detroit Lions games with our party bus rental on time so you have time to get drinks and hotdogs, hit the restroom- and get to your seats before the kickoff! Check out our party bus rental fleet and view other limo transportation options for groups large and small- visit our Party Bus and Limo Fleet page today for a Red Wings game experience you’ll never forget!